We have entered the Anthropocene era—a geological age of our own making, in which what we have understood to be nature is made by man. We need a new way to understand the dynamics of a new epoch. 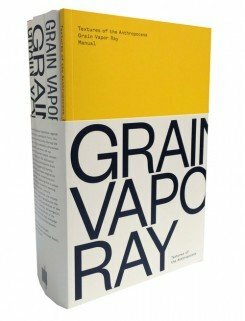 These volumes offer writings that approach the Anthropocene through the perspectives of grain, vapor, and ray—the particulate, the volatile, and the radiant. The first three volumes—each devoted to one of the three textures—offer a series of paired texts, with contemporary writers responding to historic writings. A fourth volume offers a guide to the project as a whole. Grain: Granular materials add up to concrete forms; insignificant specks accumulate into complex entities. The texts in this volume narrate some of the fundamental qualities of the granular. 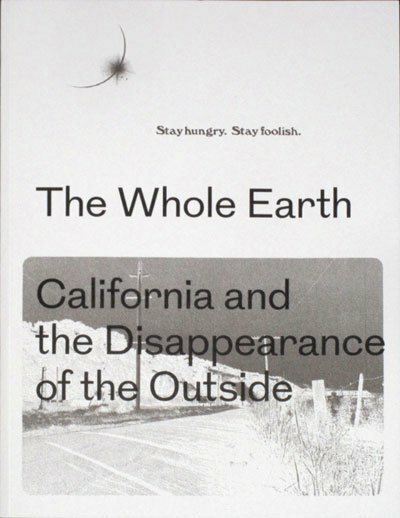 In one pairing of texts, Robert Smithson compares the accumulation of thoughts to the aggregation of sediment, and an environmental historian writes about the stakes for earthly knowledge today. Other authors include Alfred Russel Wallace, Denis Diderot, and Georges Bataille. Vapor: The vaporous represents matter’s transformations. In this volume, a political scientist compares Kafka’s haunting “Odradek” to “vibrant matter”; a media theorist responds to poems and diagrams by Buckminster Fuller; and more, including texts by Hippocrates, Italo Calvino, and James Clerk Maxwell. Ray: A ray is an act of propagation and diffusion, encompassing a chain of interdependencies between energy and matter. This volume includes texts by Spinoza (with a reconceptualization by a contemporary philosopher), Jacques Lacan (followed by an anthropologist’s reflections on temporality), Thomas Pynchon (accompanied by an interpretation of Pynchon’s “electro-mysticism”), and others. These volumes constitute a unique experiment in design and composition as well as content. The mingling of texts and the juxtaposition of different areas of knowledge represented in a variety of forms express the dynamics of a world in change. Text: Klingan Katrin, Scherer Bernd M. et al. pp. 1024; paperback. Publisher: Revolver Publishing, Berlin, 2014.